Prevent theft and damage to your most important announcement and notices.As a school administrator, you need to post important government and district issued notices that require long periods of display. Moreover, you do not want anything to happen to the postings. 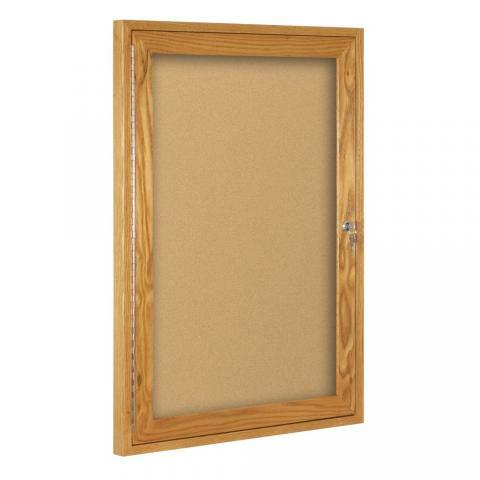 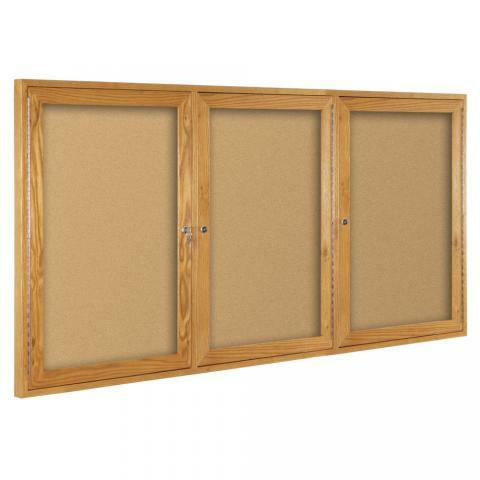 Secure your most important postings with the Enclosed Cork Board. Available in many sizes, we construct the board with renewable, resilient cork surface that has staying power. 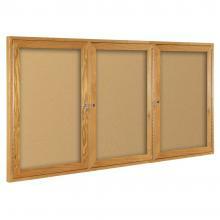 The shatter-proof, clear acrylic doors automatically close due to our innovative adjustable hinge technology. A tumbler lock ensures your valued information remains behind the acrylic doors. 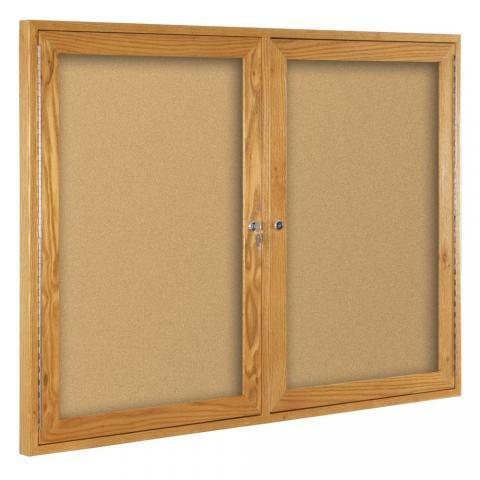 You choose between oak and walnut trim to enhance the appearance of the Enclosed Cork Board. We offer an optional natural cork tackable back panel.